BEIJING — Update: July 7 In another contentious move, Unesco also approved China’s request for special recognition for a vast, traditionally Tibetan region known as Hoh Xil or Kekexili, part of the high-altitude plateau in Qinghai Province roamed by nomads. The International Campaign for Tibet, an advocacy group critical of China, challenged the move, arguing that it would bolster China’s efforts to resettle tens of thousands of Tibetan nomads into villages. An international advocacy organization is challenging China’s effort to secure special recognition from the United Nations Educational, Scientific and Cultural Organization for a vast, traditionally Tibetan region, arguing that the designation would disrupt the lives of nomads who have roamed its fragile lands. The region, known as Hoh Xil or Kekexili, is part of the high-altitude plateau in Qinghai Province and is twice the size of Belgium. 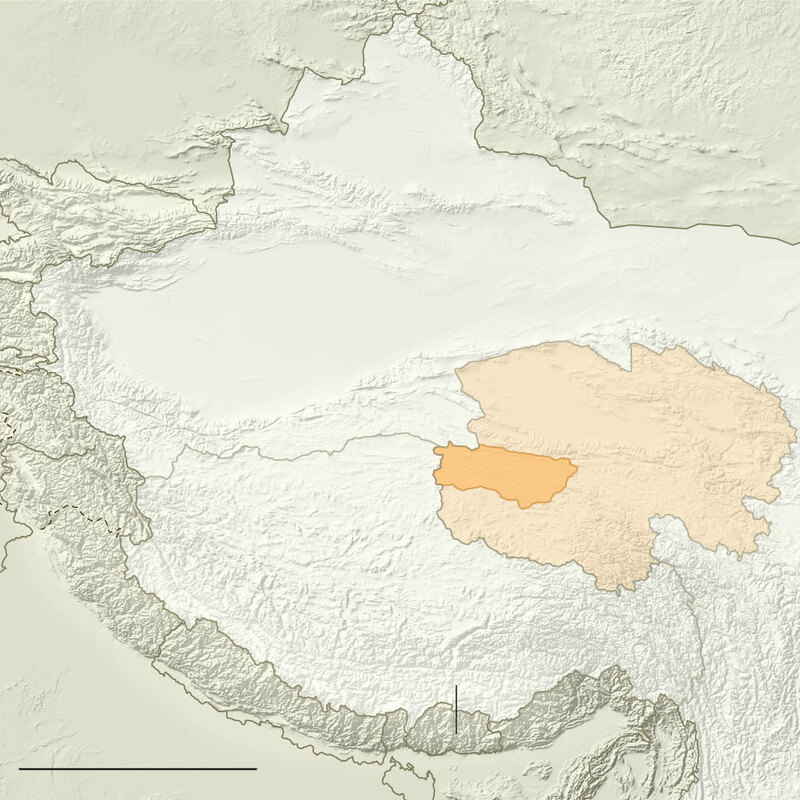 It is home to the endangered Tibetan antelope, or chiru, whose soft fur is so coveted for luxurious shawls known as shahtoosh that poachers had nearly wiped out the species. Unesco’s World Heritage Committee, meeting this week in Krakow, Poland, is scheduled to vote on the designation on Friday. The organization, the International Campaign for Tibet, which is critical of China, is trying, at a minimum, to delay consideration of the application to address concerns about development plans for the region. In a report released late last week, the group argued that recognizing the region as a World Heritage site would bolster China’s efforts to resettle tens of thousands of pastoralists from the plateaus into villages, while threatening the habitat of the antelope and the environment in general. “This controversial nomination would signify Unesco endorsement of China’s forced relocation of Tibetan nomads, who have protected the grasslands and wildlife for centuries,” said Matteo Mecacci, president of the Tibet organization. The annual meeting of Unesco has become unusually contentious, underscoring how debates on cultural patrimony can assume political significance. In addition to the debate about China’s designation of Hoh Xil, Israel is fighting an appeal by the Palestinian Authority to secure World Heritage status for two sites in the West Bank: the old city of Hebron and the Cave of the Patriarchs, revered by Jews, Muslim and Christians as the burial place of Abraham. Poland, this year’s Unesco host, also faced a warning for allowing logging in its ancient Bialowieza Forest, which already has World Heritage status. China’s government has actively sought Unesco’s designations for various sites since its first application 30 years ago. China now has 50 natural or cultural heritage sites, which are defined as having “outstanding universal value.” While Unesco has no enforcement powers over the places it recognizes, the organization can withdraw designations, which are considered important for promoting tourism and, in some cases, political aims. If Unesco accepts two new applications under consideration, China could become the country with the most heritage sites, surpassing Italy, which has 51. That landmark has been touted by Chinese state media as a major accomplishment. China’s second application under review this year covers Gulangyu, the pedestrian-only island near the city of Xiamen, in Fujian Province. The International Campaign for Tibet’s argument is that China’s designation of Hoh Xil would erode, not protect, the area’s fragile ecosystem. In particular, the organization’s report argued that China has declared the region a “no man’s zone,” discounting the unique environment and the role people play in it. The report said Unesco’s review of the site did not take into account the concerns of local inhabitants, as required by its own guidelines. The report also complained that China’s application exempted a two-and-a-half-mile-wide corridor in which a highway and railway bisect the region, allowing unfettered development. That, the report noted, would threaten the migratory paths of the antelope the designation is meant to protect. The organization’s opposition puts it at odds not only with the Chinese government, but also with environmentalists and others who say the designation would protect the antelope habitat. Jin Yuanpu, director of the Cultural Industries Institute at Renmin University of China in Beijing, said that China’s embrace of Unesco’s heritage designations reflected a new attention to cultural preservation after the repressions of the Cultural Revolution under Mao Zedong. “From the central government, to the Culture Ministry, to a lot of grass-roots groups, a lot of attention has been given to the work of preservation of cultural and natural relics,” he said. He added that the designation was “in line with Tibetans’ interests” and would help fight poaching of the Tibetan antelope, which was dramatized in “Mountain Patrol: Kekexili,” a 2004 film directed by Lu Chuan.